SS May 9, offers anytime after showings start. Absolute doll house offers 1009 sq ft, 2 bedrooms plus den, beautiful raised white panel kitchen cabs, garden doors to tiered deck and manicured yard with patio, fire pit, shed and heated double garage with auto door. Large living room with 3 windows, 2 spacious bedrooms up, fabulous 20 foot long shoe and clothes storage closet, full basement with entertainment centre that is connected to speakers in the kitchen, bathroom and on the deck. PVC tripanes, south side shingles '15, central air, mid efficient furnace, alarm system and aluminum eaves, soffits and fascia. 7 appliances. 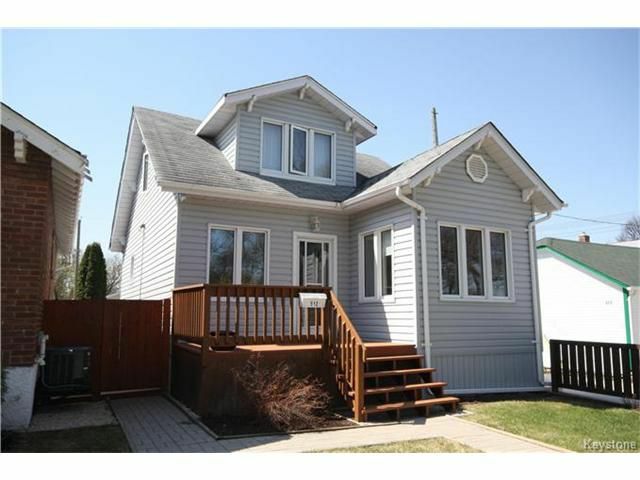 Located directly across from Machray park and only steps from schools. Shows AAAA!